Daniel Costello, president of Costello Dismantling, shares a behind the scenes look at a project completed in the summer of 2018 for a local community art center. 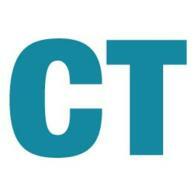 Dan and his wife, Joan, are longtime acquaintances and members of the Cotuit Center for the Arts in Cotuit, MA. As part of an expansion project for the Center, the former bakery building was removed along with gas tanks to make way for a new entrance. The gas station building will remain to house a future ceramics studio. Costello Dismantling provided the demolition services, as seen in the accompanying time-lapse video. Construction & Demolition Recycling (C&DR) magazine celebrates its 20th anniversary in 2019. To help commemorate their time chronicling the C&D sector, they’re taking a look back at how the demolition industry has evolved over the years by speaking with the leaders who’ve helped shape it. Dan Costello, owner of Costello Dismantling in West Wareham, Massachusetts, spoke with C&DR about his time in the industry, how things have changed and what it takes to keep adapting after four decades on the job. A photo of Costello's high reach excavator in action was named as one of the best photos of the year for Engineering News Record's annual "Year in Construction" photo contest. Costello Dismantling was once again a finalist for a prestigious World Demolition Award for a challenging demolition project in downtown Boston. Costello Awarded For Environmental Excellence! We're proud to announce that Costello Dismantling was awarded an Environmental Excellence Award at the National Demolition Association's 2015 convention. Thank you to the association and judges for the great honor, and congratulations to the other award winners! 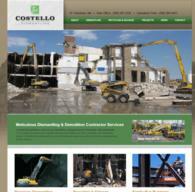 Costello Dismantling helps local businesses to recover following roof collapses. Costello's CItySquare crew recieves the front page treatment! For the third year in a row, Costello Dismantling is honored to be a recipient of an Environmental Excellence award from the National Demolition Association. Costello Dismantling has won the 2013 World Demolition Award in the Collaboration category for a recent project where they dismantled and salvaged a historic clock tower in Worcester, MA. Costello Dismantling is proud to be featured in the March/April issue of Construction Today magazine. 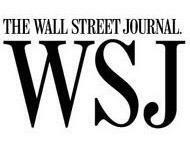 Watch the News and Projects pages for updates! We're proud to announce that once again Costello Dismantling has returned from the National Demolition Association's annual convention with an NDA Environmental Excellence Award. This award is in recognition of a recent project in Plymouth MA where wood debris that could not be salvaged was transformed on site into a boiler-ready bio-fuel product. View photos and read more about the work that we do on our jobsites.